ATeamDev 2 months, 2 weeks ago. Good news. 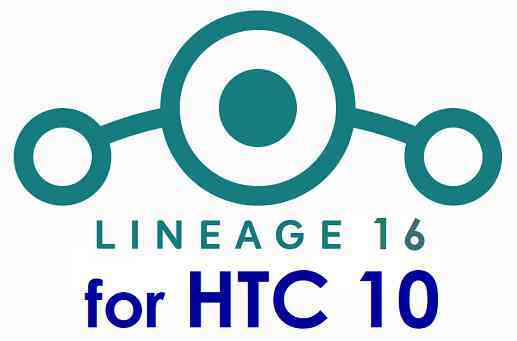 You can now download and install LineageOS 16 for HTC 10. Here is how to install LineageOS 16 on HTC 10, with a step-by-step guide. This LineageOS 16 build is brought to you by developer fagyi. THIS IS AN INITIAL BUILD OF LineageOS 16 FOR HTC 10, WHICH MAY HAVE MANY BUGS. Installing a custom ROM may require an unlock bootloader on HTC 10, which may VOID your warranty and may delete all your data. Before proceeding further you may consider backup all data on the phone. Download and Copy the HTC 10 LineageOS 16 ROM and GApps ZIP file to your phone. Boot into the TWRP custom Recovery to install this LineageOS 16 on HTC 10. Reboot and Enjoy the Android 9 Pie LineageOS 16 on HTC 10. Install the LineageOS 16 for HTC 10. If you don’t have GApps after upgrading the LineageOS 16 on HTC 10, then flash the GApps. If you don’t have ROOT after upgrading the LineageOS 16 on HTC 10, then flash the SuperSU or Magisk or the Lineage SU binary. Once everything is done, reboot and Enjoy the LineageOS 16 on HTC 10. Complete the initial setup and enjoy Android 9 Pie with LineageOS 16 on HTC 10. Stay tuned or Subscribe to the HTC 10 (pme) LineageOS forum For other Android Pie, Android Oreo ROMs, Nougat ROMs, or other ROMs and all other device specific topics. I followed the above instructions but got no where! I am currently running LOS 14.1 and wanted to jump onto the LOS 16 bandwagon. I cannot get LOS16 with MindTheGapps workng – the phone just sits rebooting for hours. I have followed the instructions to the letter, and then when it didn’t work, I cleared all the caches, data, system, internal storage but ended up with the same result. I would love to know what I am doing wrong or what faultfinding I can do to help get this fixed. I am not sure if this is an inherited issue, I cannot get LOS15, or 15.1 working either.